Founding Attorney Jasmine Davaloo is more than just an attorney -- she is a counselor. She genuinely cares about her clients and their families. She listens to and understands her clients' needs and guides them through the most difficult time of their lives with the utmost care, zealous advocacy and professionalism. Helping individuals and families has always been a passion for Ms. Davaloo. Ms. Davaloo is an active member in good standing of the State Bar of California, and exclusively practices family law. She has worked with a diverse client base ranging from multi-millionaires to modest means clients. She has successfully handled trials, depositions, mediations, hearings and emergency hearings, and works tirelessly to provide her clients with superior legal services that minimize the financial and emotional impact on them and their families. 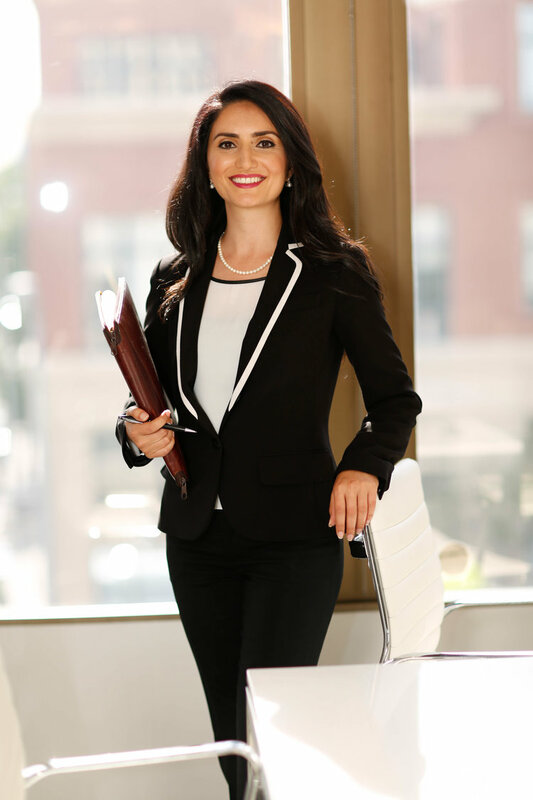 Ms. Davaloo has been selected to the Rising Stars list by Northern California Super Lawyers for the past five years (2015-2019) -- an honor given to the top 2.5% of lawyers that exhibit excellence in practice and are under 40 years of age. She has also received the 2015 Unity Award from the Minority Bar Coalition of the Bar Association of San Francisco for her dedication to promoting access to justice and the advancement of women and other minority groups in the legal system. Ms. Davaloo has dedicated countless hours of pro bono legal services to clients who otherwise cannot afford legal representation through her involvements with the Legal Aid of Marin, San Francisco Bar Association, Alameda County Bar Association, and other organizations. She has mentored at-risk high school students in Richmond, CA, through her work with California Law Academy Mentoring Program of the California Bar Association. She has also provided the public with legal information about family law and employment law through her Persian weekly television shows. Ms. Davaloo is a proud Big Sister with Big Brothers Big Sisters of America.